High-end Magazine Gift by the Sleek Magazine! Look trendy with this sleek Magazine Gift! Is your company dealing with high-end customers? Are you looking for gifts with high perceived value and yet cost effective? Well look no further, as the Sleek magazine is a very good example! Read on to find out how the Sleek magazine deals with high-end customers by giving out magazine gift. 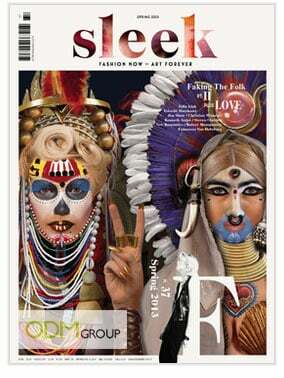 The sleek magazine is an art and fashion publication that is based in Berlin with copies sold in English. Sleek magazine provides insights to the thematically curated investigation of contemporary art and fashion. Each issue revolves around a monothematic clossier centered on two opposite concepts and the intricacy of contemporaneous culture. So with it’s particularly artsy and fashionable group of target audience, what gifts is the Sleek magazine catering to their readers? In conjunction with spring and summer, the Sleek magazine is offering a pair of Berlin sunglasses for every successful subscription! 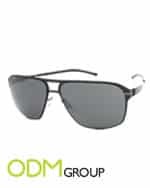 This pair of sleek sunglasses definitely entices their readers to continue or to sign up for a new subscription! The Sleek magazine has made a precise choice by understanding their target audience. This is follow up by their Berlin sunglasses that suits the contemporary taste of their readers. First of all, this pair of Berlin sunglasses has a high perceived value. When your company offers a magazine gift like this, customers would be more than delighted! This is true because consumers often go for gifts that looks expensive than one that is of a lower perceived value. Customers have a mind set that expensive things are always better! As a result, companies could take advantage of this to offer something that is of a high perceived value with low cost! Not only does this maximize the money you spend on promotional products, this also attracts more customers! However, do bear in mind that quality is fairly important. Do not offer something that is of low quality. As an effect, this act will destroy your company’s reputation as well as to bring down your company sales! So be sure to never compromise on quality!